Original Large Size Two Volume. 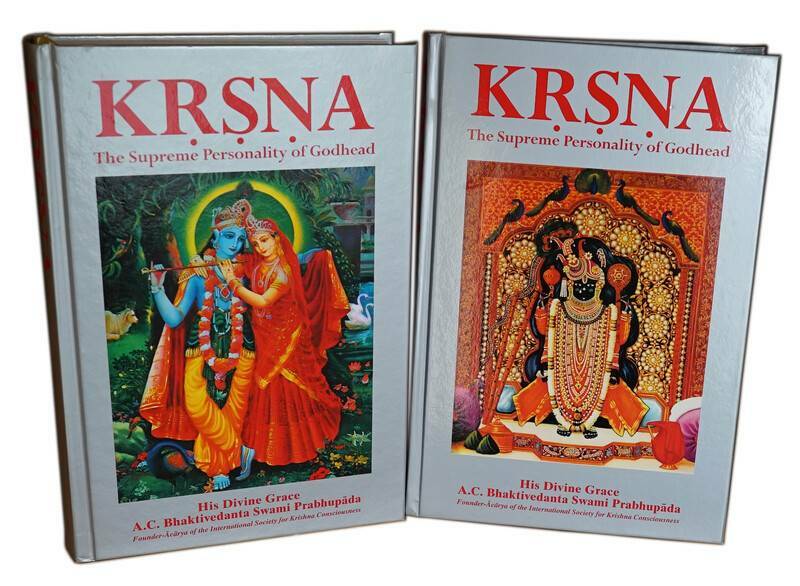 Krsna Book is a collection of beautiful stories and illustrations. 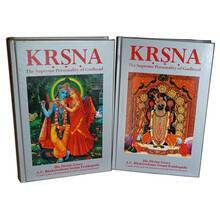 The stories develop from Krishna's birth to His childhood and youth. Krishna plays with His boyfriends in the forest while looking after the cows and calves and incidentally He kills so many demons. On some full-moon nights Krishna dances with Radha and His beautiful girl friends, the gopis, in the rasa lila dance.